17 videos of British Council experts giving IELTS advice. Mock test papers with model answers. 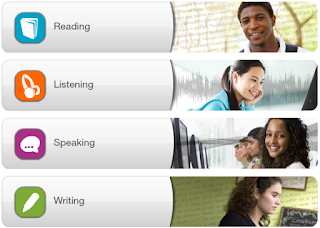 Videos of the speaking test. In each area there is access to advice and video tutorials, on how to complete the activity, the practise exercises and practise tests. At the end of each individual activity get feedback on scores, and go back and redo the activity until 100% is achieved. This resource helps with language skill practise only. There is no formal qualification on completion of this course material. See IELTS.org to locate and book the testing centre of your choice in order to formalise your learning. Can help you fine tune your second language skills! If you haven't used your second language for some time and need to practise before adding it as a skill to your resume, Mango Languages is the place for you. There are 71 language courses to choose from, as well as English a second language for 19 languages. There are also 37 specialty courses from soccer celebration to flamenco dancing! Once you've chosen your language you can start with the basics and the subject of your interest. Or take a placement test to help you locate where your language skills place you in the course. Mango languages is about improving conversational skills, reading and pronunciation, as each sentence is given in the chosen language and English and you can hear it spoken.